It’s estimated that as many as 60 percent of American children are considered obese, putting them at risk for lifelong health problems like high blood pressure, high cholesterol, diabetes and heart disease. While it’s important for parents to help overweight children reach a healthier weight, experts say it’s important to realize diets intended for adults aren’t always appropriate – or safe – for children. New York City pediatrician and weight loss guru Dr Joanna Dolgoff tells the Tampa Tribune that it’s important for fathers to consult with a doctor or dietician before putting kids on a diet. Since kids’ bones, muscles and organs are still growing, she says experts should weigh in on the proper amounts of fats and carbohydrates to grow properly, according to their age, height and even hormonal development. 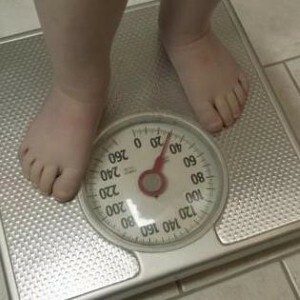 Children also lose weight at a slower pace than adults. Dolgoff says a half-pound to one-pound weight loss per week is normal, but can be discouraging for parents. Experts say banning foods like ice cream and cupcakes completely is sure to backfire as kids (and adults) will always want things they’re told they can’t have. Instead, fathers should strive to limit these foods in their kids’ diets for special occasions and keep the portions small as well. And, as with most parenting challenges, remember that your kids follow your example. If you constantly eat unhealthy and fattening foods they will too. "Your child sees a lot more than you realize," said Dr. Dolgoff.